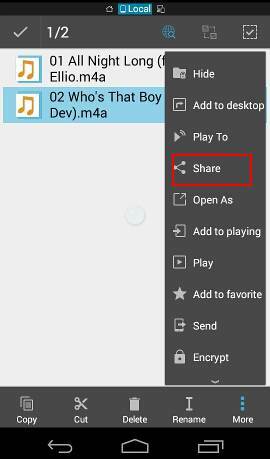 You can share files with other users through direct Bluetooth connection between Moto G and other devices. , which is available in almost all smartphones and many other mobile devices, is a wireless technology standard for exchanging data over short distances. With Bluetooth, you can directly transfer files between devices: sending and receiving, without any other hardware. Moto G, Moto G 2nd Generation, Moto E, Moto X, and Moto X 2nd generation all support Bluetooth fully. So, you can use Bluetooth to transfer files between Moto devices, and/or with other mobile devices. This guide shows you how to use Bluetooth to transfer files on Moto G, Moto E and Moto X. Although in the guide, Moto G is used, instead of listing the devices again and again, this guide works exactly identical on Moto E and Moto X (including Moto X 2nd generation). To use Bluetooth to transfer files on Moto G, you need pair your Moto G with the other mobile device first. 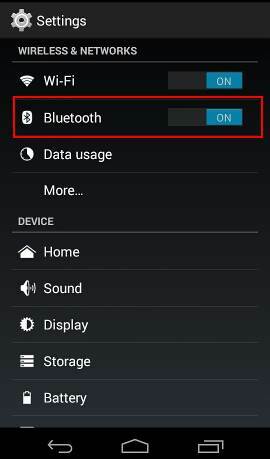 On your Moto G, go to Settings–Bluetooth, drag the off button to right to turn it on as shown below. Paired devices (with which you paired Moto G before). For such devices, you can tap the name in the paired devices list to pair with it immediately. Visible Bluetooth devices (which turn on their visibility to the public). If this is the first time you are trying to pair with such a device, you must make sure to make that device visible to others. You need check the manual for these devices on how to turn on the visibility. On Moto G, Moto E and Moto X, you can simply tap the own device name as shown below to turn on visibility for 5 mins by default. You can change this setting by tapping the menu button (3 vertical dots) in bottom right. Anyway, to pair two devices for the first time, one of them must turn on visibility. 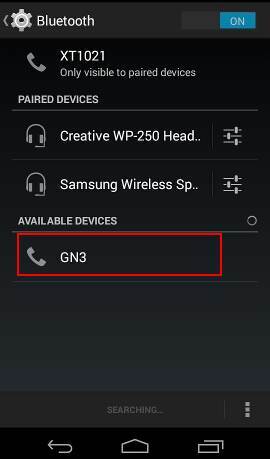 In this tutorial, I turned on the visibility of Samsung Galaxy Note 3 (named as GN3). Moto G will then find this device and list it under “available devices”. Tap the GN3 as shown below. You will then give the prompt of the passkey. Tap pair to finish the pairing. Important: You MUST tap OK on this device as well. Otherwise, the pairing will fail. Once paired. the new device will be moved to the list of paired devices as shown below. Moto G does not come with a Bluetooth app or a file manager, so you must get a file manager or an app to use Bluetooth to transfer files on Moto G.
In this tutorial, I will use ES File Explorer as an example. If you haven’t installed this free (and excellent) file manager, you may follow this guide to get it from Google play store. Open ES File Explorer, navigate to the folder and select the files you want to send to other devices through Bluetooth. Once the files are selected, tap the more button as shown below. In the pop-out window, scroll down, tap Share as shown below. Select Bluetooth to use Bluetooth to transfer files (sending) to other devices. You will then be asked to select one of the currently paired device as shown below. The selected files now are being sent through Bluetooth. You may notice the progress in the notification area as shown below. In the Settings page, the status will also be similarly updated as shown below. Please note, when you use Bluetooth to transfer files on Moto G, it is called “upload” or “outbound transfers” for sending files. To receive files through Bluetooth on Moto G, it is very simple. Of course, you need pair your Moto G with the sending device as mentioned above. When the device is trying to send you a file, you will get the file transfer alert similar to below. If you want to receive the file, tap Accept to receive it. If you go to Settings–Bluetooth, you transferred files are also listed there as shown below. Tap the file name to open it. When you use Bluetooth to transfer files on Moto G, it is called “download” or “inbound transfers” for receiving files. All files received from Bluetooth transfer are saved, by default (if no app is used), in the Bluetooth folder in the phone internal storage. You can use any file managers to move the files to other locations. But moving the files will NOT clear the Bluetooth file transfer list automatically. To clear the list, you can tap the moved files as shown below. Moto G will fail to open the file because you moved it out of the bluetooth folder. Once Moto G knows the file is not there, it will be removed it from the list of Bluetooth received. Anyway, after you use Bluetooth to transfer files on Moto G, you can clear the received file list by moving the files out of the bluetooth folder. This can be done with a file manager or through a USB cable on a PC (you may refer to this guide on connecting Moto G with your PC). Bluetooth is almost everywhere, so it is very convenient to use Bluetooth to transfer files on Moto G.
Transfer speed usually is slower than USB cable connections, WiFi or WiFi direct. So, it is not suitable for big files. It is very good for small files (less than 100MB). The devices must be close enough. The Bluetooth specification says it is about 10 meters. But the actual distance is about just a few meters: the closer, the better. Bluetooth may interfere with other home appliances and devices. 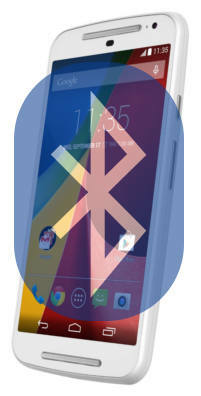 Bluetooth operates in the 2.4 GHz ISM (industrial, scientific and medical) band and it may interfere with other devices. It may also be affected by USB3 devices nearby. Do you have any problems or questions on how to use Bluetooth to transfer files on Moto G, Moto E or Moto X? Please let us know in the comment box below. Moto G will not pair with 2011 RAV4. All goes ok until the car asks me to enter pin 1212 into phone – but there is no number display on the phone to enter the pin. Any solution gratefully received. 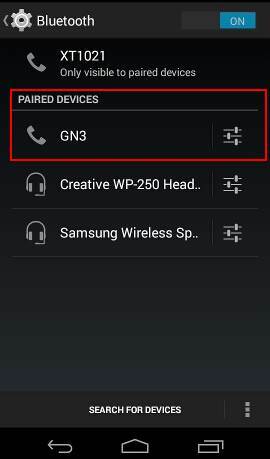 What’s shown on the phone when pairing? What app are you using? What happens if you just tap the notification on G4? My moto g3 shows that a Bluetooth file is being received, but the option to accept or reject it is not enabled. How do I enable this? You can only receive files from paired devices. Also it depends on the app handling the transfer. How to delete files received from blueTooth on moto g4 plus. You can use any file manager apps top delete files. You can also use the built-in file explorer in Settings – storage & USB – internal storage – explorer. Hello I have Moto g4 plus,by mistake while transferring some multiple files I selected watsapp as always . How to correct it as now when iam sending multiple files only watsapp is showing as when I sending single files bluetooth n other options are coming. Please help. In Settings- Apps -WhatsApp –Open by default, tap Clear defaults. Alternatively, you can manage all default apps in Settings-apps, tap Gear icon, tap Default apps. You can also reset all default apps in Settings– Apps, tap menu key, tap reset app preferences. My bluetooth headset (M-Sound F900) can’t answer or place calls with my Moto E 2nd generation. The device pairs to the phone. 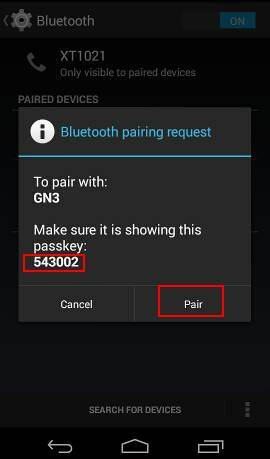 In settings – bluetooth – paired devices, the F900 is named, the Use for Phone checkbox is checked. The volume is set adequately. When the media box is checked, media can be heard through the headset. The headset works on all other phones I’ve checked it with. Did you hear ringtones when you are called? Or you just cannot use the buttons on the headset. Hi, I have tried to transfer music from our Windows8 laptop by Bluetooth and cable, and they get to the phone, but are showing as ‘light grey’ and I cannot click on them to open them? I look in Music file and ‘unknown’ comes up, and when I click on that, they are there but in light grey and I can’t open them??? I want to set up 2 songs as ringtones, but when I go into ‘sound’ the ringtones I’ve sent are not showing…. This is my husbands phone, and I have managed to do this on my phone – both new MotoG 2nd Gen – and I have got the ringtones I like …. I don’t understand why I can do it on one phone and not on the other … Thank you – hope you can help!! What’s the file format? You can try mp3 or m4a. My MotoE will not pair with my Toyota Rav4 car. 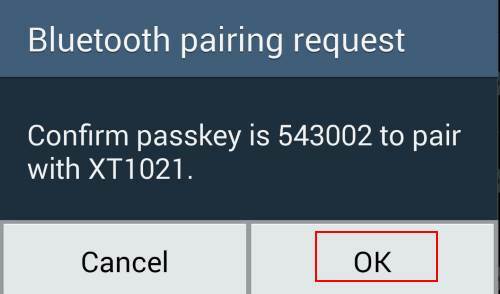 My HTC One had no issue pairing so I know the RAV’s Bluetooth is fine. Also, the MotoE will not pair with my Skech Bluetooth headphones which the HTC paired with just fine. MotoE finds my laptop and my Kindle. Can you help me? 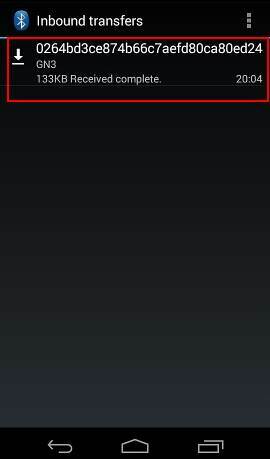 You need make sure the Bluetooth device is in pairing mode and your Moto E is visible. This is required for the first time pairing. Sir can i connect my moto e 1st edition with my pc by a data cable for internet browsing? and if yes then how.The pc does not shows any option for it when connected. Which device has internet connection? 1. if you PC has wifi, you can simply turn on WiFi hotspot on Moto E (Settings–more–tethering & portable hotspot–portable WiFi hotspot). Your PC can then connect to Moto E through WiFi. 2. if you PC does not have WiFi, you need turn on USB tethering in Settings–more–tethering & portable hotspot. You can turn on USB tethering only when Moto E is connected to PC. Otherwise, it is grayed out. I have paired my moto g with my old phone, attempt to transfer contacts from old phone to moto g, moto g shows the message “incoming file, confirm you would like to receive this file…” (something close to this message anyway), but there is not accept/decline button or any way to confirm I want to receive the file. Did you get the pop up message? If you see it in notification panel, tap the notification. 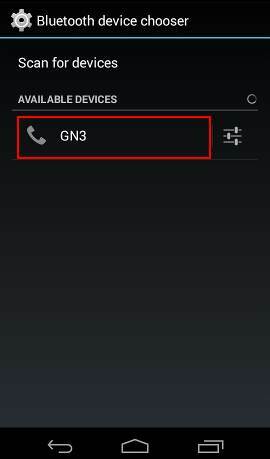 how can i send contacts from my moto x to the new moto g 2ng gen.?? Sync through your Google account. Are there any instructions for phone voice commands after pairing? I can manually dial out from my radio(Bluetooth), but I don’t know how to hang up and/or call via voice. You can find some Google Now voice commands here. Any error messages on both devices? M nt able to switch on the Bluetooth since yesterday… It was working perfectly until den .. How can I fix it? Reboot the phone (power off, then power on). I had paired my moto E with my laptop and disconnected. Then after am unable to play music or even get call alert out from my phone speakers. But my mobile speakers are functioning well as i can call and communicate. Can you pair Moto E with the speaker? You may try to reboot the phone to see whether it helps. How do you transfer already purchased music from google play to a moto e? You don’t need transfer. You can access your Play music from up to 9 devices. You need use Play music app which is pre-installed already in Moto E.
How to receive multiple songs or images on a single accept command ? on yesterday only i have purchsed MOTO E. but in that i can not see Music Player eikon and File Manager Eikon to access files from internal memory as well as from SD card. From where i can see these options/icons? Th default music player in Moto E is Google Play music. You can download and install any free players from Play store. I am Unable to Clear the Bluetooth History in Moto E First Generation. Plz Help me. can you edit and save photo in Gallery app? Can you pair moto e with your laptop? I’m trying to upload my contacts to my Ford Audio system but it keeps telling me that “the request cannot be handled correctly”. I’m trying to transfer a .vcf file through ES File Explorer. Can any one help? Probably the audio system was paired as media device and doesn’t support other profiles for file transfer. Not all bluetooth devices can receive/ send files. It depends on the “profiles” of the devices. Which step do you have problems to follow when using Bluetooth to transfer files? Devices are paired. Both devices are Moto G’s, one is a 1st gen, other is a 3rd gen. I expect compatibility from the same manufacturer. Unreasonable? how did you transfer files? What app are you using? You can tell what is shown in the sending device and what is on the receiving device. There are no known compatibility issues because Bluetooth is very matured now. Hello,..I need to delete the file transferred list. I have already deleted the contents but I need to delete the file transferred list. Kindly do the needful. If the file was moved or deleted, tap the file in the list and it will be removed from the list as shown in the last 2 images in the page. having some problem with bluetooth. I am not able to send any app to other mobile using apk share or invite friends to join share it app using bluetooth. it always shows message file unknown file not sent. but can receive through same option from other mobiles. I don’t think you can share apps through bluetooth unless you have downloaded apk files in your folder. Guys please help me!! 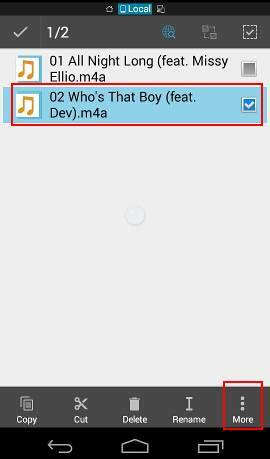 How can I play the music which I was stored on SD card in moto e.. If play music cannot find the music or cannot play the music in the sd card in your moto e, you can try to use vlc player fur android. It’s free and it can play directory directly. What’s the video format. You should use m4a or mp3 or ogg files for ringtones. 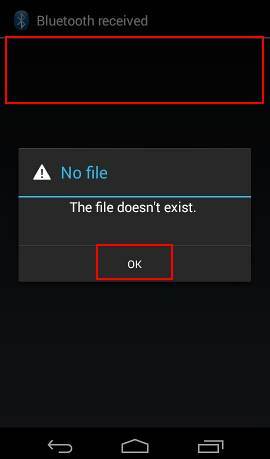 i m able to receive file via bluetooth on moto g but i m not able to send files via bluetooth. it says transfer cancelled by user. You need check the other phone (receiving phone). “user” stands for the user of phone sending the bt file [moto g] or user of phone receiving the file [other phone]. Such issues usually are caused by the receiver. I have installed file commander in my moto G2. My music and photos are not getting sync in my “play music” sections and “albums” but they are showing up in the file commander. How do I sync it in my albums and library? From which device to which device? You can simply copy and paste. File commander is just a file manager. The songs and pictures which are stored in the SD card, are being showed up in the file commander only. Whenever i open up gallery or the “play music” section, the photos and music are not showed up there. I have to open up the file commander to view the photos which are stored in my SD card , and similarly if i have to listen to music i have to again open up file commander to browse through the songa stored in my SD Card. That is the problem. Is there any way with which my photos and music stored in the SD card can b showed up in the gallery and “play music” respectively? 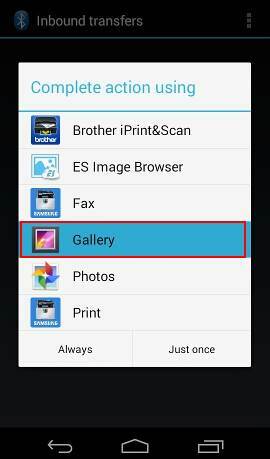 The media scanner may not cache the file info if you copy them to SD card directly through third party apps. You can try to restart the phone. This usually triggers the media scanner. For music files, you can try VLC for Android app, which can play folders directly. I have moto g 2nd gen. I can’t share a wmv format file on watsapp as it doesn’t appear in my gallery. You can try to install ES File Explorer. 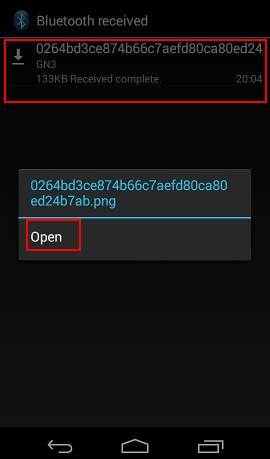 Then use ES File Explorer to navigate and select the file, tap more–Share, and you should be able to find WhatsApp among the possible sharing target. You cannot. If you have the APK file, of course you can send it as a normal file. But for apps, after installing, there are various files in different locations. Some files may be generated during the installation and they may be unique to the device. It seems it has nothing to do with file format. You probably just try again if connection failed. Can anyone tell me how to set location of Bluetooth receiving files as by default to memory card in Moto E? Biggest question for my Moto E cell phone. Even Google has no information about this. You cannot set the default file saving location for bluetooth on Moto E. There is no such a option. Some third party apps may allow this. You can try bluetooth file transfer app from play store. Your PC is not a Bluetooth speaker. You need get a Bluetooth speaker. Technically, you need a “receiving” device for audio. Both your phone and PC are a sending device only. Hi, I followed instructions but I get a “connection unsuccessful” error message. I’m trying to send a music file to a HP steam laptop. can you pair them successfully? Yes. I had to go into Bluetooth settings on the laptop and press something to receive file. I must press this every time I do a transfer. The Bluetooth utilities in a PC is usually not user friendly. But normally, you have no other choices. Anyway, you can always use AirDroid or something similar. How send song from moto e using Bluetooth? Did you follow this guide? Any errors? Hi, is it a must tat I should download file manager just to transfer music files to other device? It should be the basic need to any mobile r8? Doesn’t come it as in build in Moto X? No, you can use Bluetooth or wifi direct to share files quickly. File manager is for you to manage files in the phone. For images and videos, you can use gallery app to manage. For downloaded files, you can user download manager to manage. However, for moto g 2014 or moto e, sd card is supported. A file manager is usually helpful to manage files. Moto x doesn’t come with the file manager app. Android doesn’t have a native file manager app. Most vendors add their own. In old motorola android devices, a file manager from Motorola was shipped. Since moto x, no more motorola file managers. Anyway, there are many good file manager apps in the play store. Did you try motorola migrate? I am not sure whether the lg model is supported or not. Es file explorer is NOT for transferring contacts. It’s for managing files. You can save the contacts to the sim card, then in moto g, you can import contracts from sim card. If the lg phone provides contact backup utilities, you can also try to use it. Then transfer the backup file to Moto g.
For bluetooth problem, you may try to unpair then try again. In the gallery app, tap and hold the photo (to select it), then tap the share button on the top, tap Bluetooth. You’d better get a file manager for music files. You may try ES File explorer (http://motoeguide.com/moto-e-guides/manage-files-moto-e-es-file-explorer-file-manager/). I want to move files received from Bluetooth to External Drive in Moto E. How can i do the same i am unable to find a way to it. How to transfer mp3 songs from moto e via bluetooth? Did you follow this guide?what errors did you get? is it anyway possible to recover the deleted photos on phone memory? Unless the photos are extremely important, don’t waste time and money on it. None can guarantee you anything. If you have to, you should try some local professional data recovery services. Anyway, by default, you can backup all your photos to your Google+. I need to ask that can i transfer contacts from moto e to other device using bluetooth. Probably no. The stock people app doesn’t share via bluetooth. But you can export contacts to a file, then share the file via bluetooth. When trying to send a file from my laptop to the phone via Bluetooth, I get no Accept/Decline prompt, they are paired correctly, the laptop then times out and cancels the tranfer, I cant find anywhere where I can ‘Accept’ the transfer. it depends on the Bluetooth driver on the laptop. Usually, some vendors provide some Bluetooth file transfer utilities. 3 or more people have asked the same question that I have and i notice every time you sidestep or answer for the Opposite condition. When trying to transfer a file via bluetooth TO the moto E the accept button or whatever needs to be aknowledged is missing, not apparent, or broken. How does one complete the transfer? Can you transfer in the opposite direction? You can always try to reboot the phone and try to pair again? For some reason when I try to send a file from the laptop to my Moto G the laptop shows my phone as a media player which I close down and the file then fails to be sent. This has only just happened. Is there a setting I need to change somewhere? Try unpair. Then initiate the paring from the phone. What’s the error message? What’s the file format? When I transfer photos on my Moto G they are all called image.jpg, so they get overwritten and only the last one is on the laptop. Other than doing it one by one, and changing the name, I can’t get it to transfer multiple photos. Help. They should have the identical file names as those in the laptop. I don’t know why you get identical name. If they have identical name (but in different folders) on the laptop, you can try to rename them before transferring. Thanks, my comment was a bit confusing. I am transferring from the MotoG to the laptop. You can pair moto g with the laptop first. Normally, in your laptop, there is a Bluetooth utility for you to transfer files from or to the laptop. 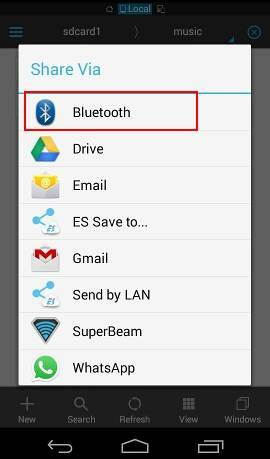 This guide shows you how to use Bluetooth to transfer files. 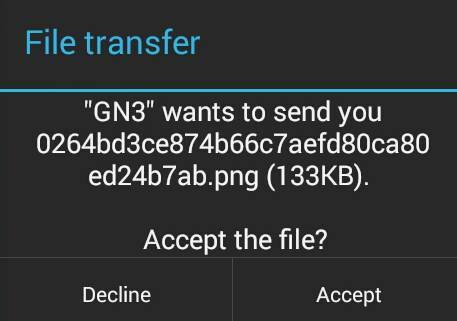 If I want to receive 5 files (say pics) from a paired device, it asks five time if I want to accept or not. How to set it like ohne can always receive a file without asking, or asking only once? It depends on the sending app. If they are shared through file manager, you have to confirm one by one.